The night before the hike. One of us is tired. The other one isn’t. We are not morning people. Stoytcho and I have both realized this over the years, although exceptions have been made at certain times in our lives, from the 7:00 AM crew practice to the 8:00 am morning lab meetings. In these cases, we’ve dealt with it, adapted our sleep schedules, and generally acted like the weird image people have of ‘grown ups’. But in the absence of such external pressures, we drift back toward being night owls with a 1:00 or 2:00 am bedtime. It’s just naturally who we are. 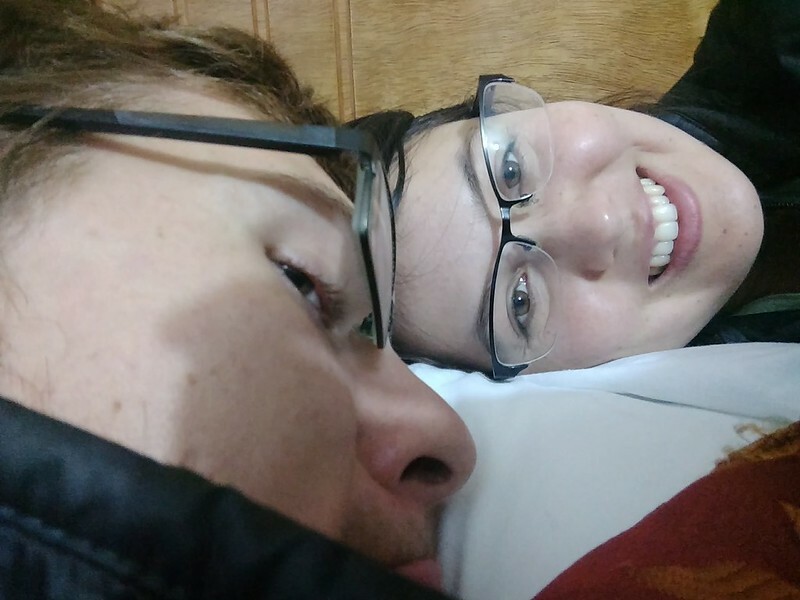 So it was foolish of us to think we were going to catch the 4:30 am minibus from Cusco up to Mollepata to start the Salkantay hike at 7:30 am. Thankfully, we realized this last night around midnight and adapted; we’d spend tomorrow making sure we were fully prepared for the hike, then take an afternoon bus out to Mollepata, find a place to stay, and start the hike early the next day. No need to wake up at absurd-o’clock, which we’ve already determined is not our specialty. We spent the day putting finishing touches on our hiking kit and taking in the last sights of Cusco. We discovered our biggest problem in the morning, when Stoytcho ran a dye test on our fancy water filter and realized it was broken. We’re guessing the altitude change when we came here to Cusco ruptured the glass filter, although there’s no real way to know since we’ve been using it for three months without a test. We decided to leave it behind (with a pile of other stuff Pisko and Soul let us leave), but it meant we had to go out and buy ~6 2.2 L bottles of water and stuff them into our packs. This 13.2 L of water wouldn’t get us all the way through the trek, but it would get us pretty far. Towns along the way would fill in the rest of our water needs. After purchasing water, we stopped at Mercado Central de San Pedro, a local market filled with souvenirs, coca products, and food. We bought some honey candy made with coca leaf infusion, and while that may seem insidious, it’s closer to coffee drops than cocaine. Without the insane refining, coca acts as a mild stimulant, just like coffee, so it’s normal to the people here. Plus, we’ve heard it’s great for dealing with the huge altitude climb over the Salkantay pass. 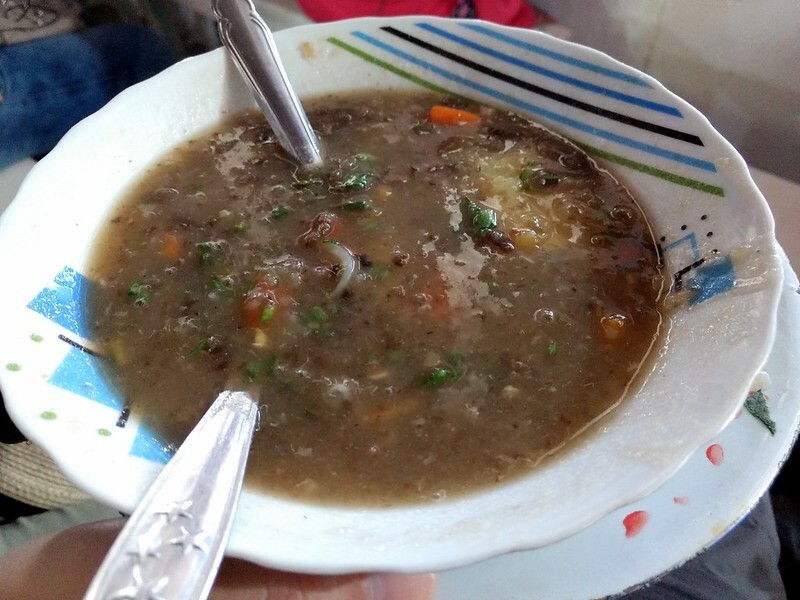 We also got an amazing late lunch here, a heavy beef-and-vegetable stew served up by two cheerfully rotund ladies. It cost 6 soles (~$1.80) for the two of us. We tried to give them more money because we felt the meal was worth more, but they politely refused it. We bought a second helping instead. Delicious beef stew. We don’t know when our next meal will be, so seconds was a good idea, right? Full and ready to take on anything, we raced uphill with our packs to where the minibus departs for Mollepata. At 3:30 pm, we were pushing it; the bus we were trying to catch was the last bus of the day. But we arrived with plenty of time to spare and found the bus driver outside his van smoking, with 4 or 5 Mollepata-bound locals waiting nearby. “When do we leave?” we asked the driver. “When we have a full bus,” the driver replied. We went and stood with the locals, made some light conversation with our rapidly-improving Spanish, and watched the traffic go by. A local bus passes by us as we wait for our minibus to leave to Mollepata. It took another forty minutes to gather enough people for the bus to depart, and then suddenly at the end there was an abundance. A woman with an infant showed up, an old couple appeared out of nowhere, and with a quorum all of us loaded into the bus. Then three teenagers came dashing up, though there was only one seat left on the bus. “Please,” they begged the driver, “we don’t want to be left here tonight.” The driver motioned for one of them to get in the back with us, and the other two climbed into the sole free seat in front. Then we were off, putt-putting out of town on the three-hour drive to Mollepata. Room for one more? I think not, but we’ll try all the same. 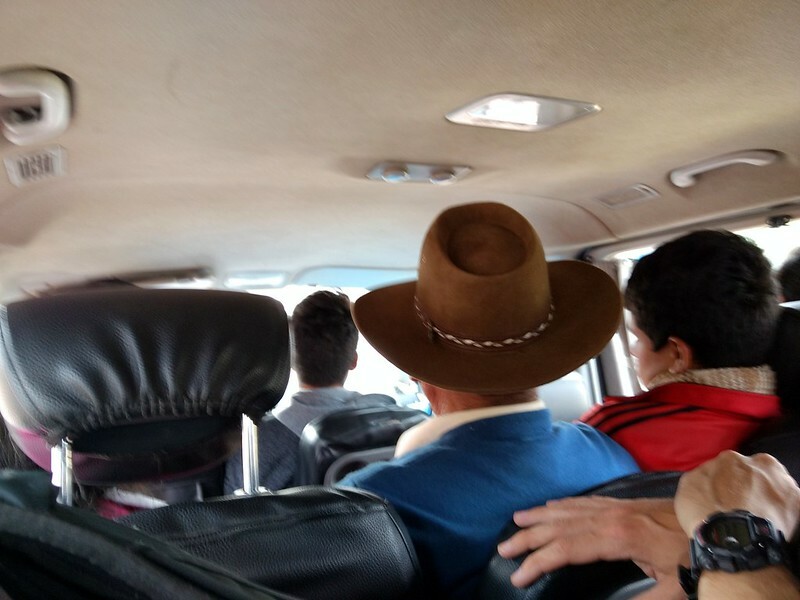 The bus wound its way along the narrow Andean roads, taking us higher into the mountains. Occasionally the driver stopped to let someone off or take someone on, though no one seemed to make any gestures to him. He just seemed to know where to stop for each person, as if by habit and routine. Finally around 6:30 pm, the bus puttered to a halt in Mollepata’s central square. In the dusk light, we climbed off the bus, stretched our cramped legs, and donned our heavy packs. Our two goals were to find a place to stay for the night and to find the trailhead for the Salkantay. We asked some older gentlemen hanging around the square where we could find a room for the night, and they pointed us in the direction of a hostel. But they couldn’t give us much idea of where the trailhead was. I tried asking about the church (according to one blog I read, that’s where the trailhead is), but this was met with blank stares. “This town has never had a church,” they told us. Don’t worry; they may not have a church here, but they at least have DOTA2. It was getting dark, so we postponed our search for the Salkantay trailhead and wandered down the street in search of the hostel. 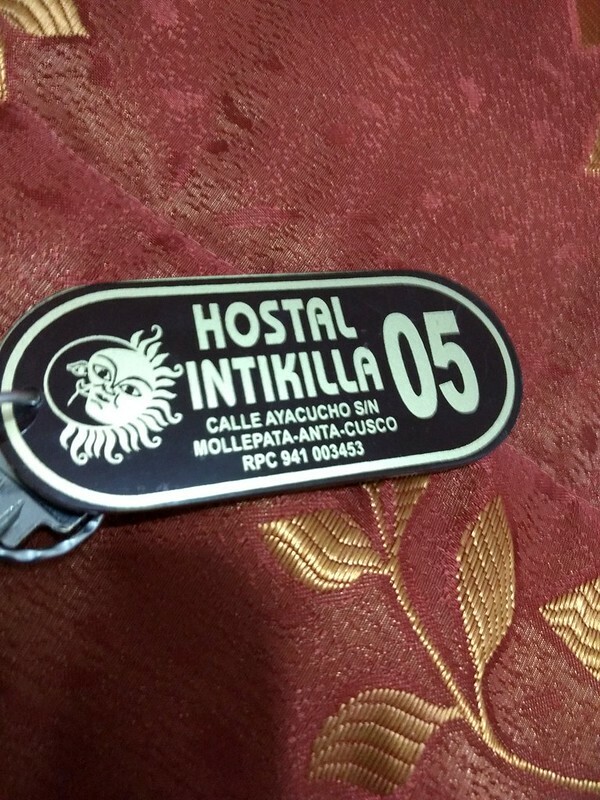 Everything looked closed, and we weren’t sure we had gone the right way when we finally a sign that read “Hostal Intikilla“. We rang the doorbell and after a few minutes of shuffling, a woman came to the door. We negotiated a room for 60 soles, trudged upstairs, and finally dropped our heavy packs. With the sun set and darkness advancing, it was getting cold rapidly in this little town. Hopefully we had enough blankets. After dinner, we set out in search of the trailhead with our headlamps. 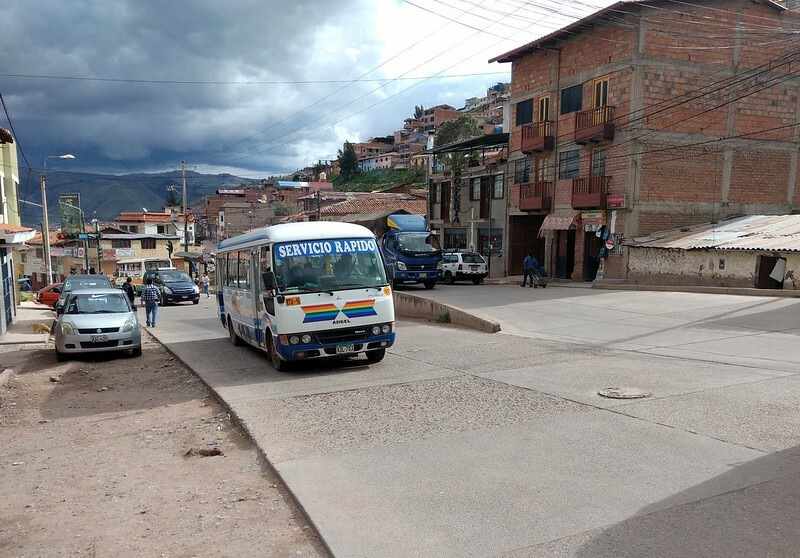 That turned out to be unnecessary, because even this town in the Andean highlands had streetlamps. Using some maps we had found online and the suggestion of our innkeepers, we headed northeast and uphill toward one corner of town. We passed a man running a grocery store and asked him if he knew where the trail started. He pointed us further uphill. We passed a group of men catching up on a street corner and asked them where the trail was. Uphill, they told us, and turn right when the street dead ends. We followed their instructions, and found ourselves trudging up and down a few hills, past the remnants of Christmas lights on houses. We encountered a group of kids playing out on the street, and we asked them where the trail started. They pointed further along the road, giggling. Finally, a couple of hills later, we found the sign (the link shows where on Google Maps). In blue and white, it named our destination tomorrow: Sorayapampa. Finally, we’ve found the start of the Salkantay trek! Back at the hostel, we got ready for bed. I had a headache and my stomach wasn’t feeling great, so I chugged as much water as I could and hoped that it wasn’t altitude sickness. Guess we’ll find out tomorrow! 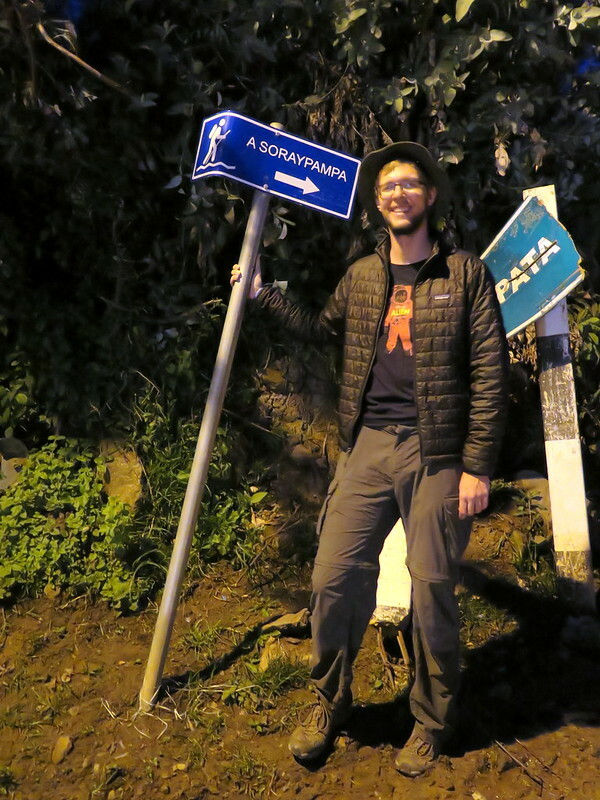 Next ›Salkantay Trek Day 1: Sorayapampa is how far?